Why Is Long Term Care Medi-Cal Planning Necessary? Creating a comprehensive estate plan typically requires you to incorporate a variety of inter-related components into one cohesive plan. Planning for the distribution of your estate assets may be a primary goal of your estate plan; however, it won’t be your only goal. 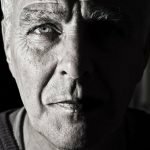 You may have heard about the importance of including Long Term Care Medi-Cal planning in you estate plan but have yet to do so, in large part because you don’t know why Long Term Care Medi-Cal planning is necessary. 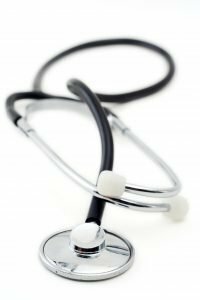 To help explain the need for Medi-Cal planning, the Riverside elder law attorneys at Dennis M. Sandoval, A Professional Law Corporation provide an overview. What Is Long Term Care Medi-Cal? Long Term Care Medi-Cal is the name given to California’s Medicaid program that deals with care in skilled nursing facilities or rehabilitation hospitals. Medicaid is a healthcare program that is primarily funded by the federal government, though the individual states can provide additional funding if they choose to do so. Each individual state also administers its own Medicaid program. People often confuse Medicare and Medicaid. Medicare is also a federally funded, and administered, healthcare program. A primary difference is that Medicare is an “entitlement” program, meaning that as long as you (or a spouse) paid into Medicare during your working years you are automatically entitled to Medicare benefits when you retire. Medicaid, on the other hand, is a “needs based” program, meaning that an applicant must demonstrate a financial need to be eligible for Medicaid benefits. Why Would I Need Long Term Care Medi-Cal Planning? You may have already made it to your retirement years without ever needing to turn to Medicaid for assistance with healthcare expenses because you were fortunate to have had employer-sponsored or privately funded health insurance. As a retiree, you will likely depend on Medicare to cover most of your healthcare expenses. So why would you need to qualify for Long Term Care Medi-Cal? The answer can be found in the likelihood that you, or a spouse, will need long-term care (LTC) at some point. When you enter your retirement years you already stand a 50-70 percent chance of one day needing LTC – and those odds increase with each passing year. 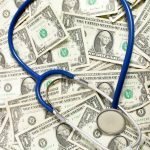 Nationwide, the average cost of a year in LTC was over $80,000 in 2017. As a California resident, you can expect to pay more than the national average. That same year, the California average for a year in LTC was over $115,000 and the average length of stay was close to three years. What really makes the cost of LTC problematic though is that neither Medicare nor most basic health insurance plans will cover LTC expenses. Unless you have a long term care insurance policy with appropriate coverage levels or can comfortably afford to pay for LTC out of pocket, that leaves Medi-Cal as your only option. Can’t I Just Apply If I Need Assistance? The strong possibility that you will need Long Term Care Medi-Cal to help pay your LTC bills in the future still doesn’t completely explain the need to include Long Term Medi-Cal planning in your estate plan today though. The reason planning ahead is important can be found in the eligibility guidelines. Because Medi-Cal is a needs based program, applicants cannot have income nor “countable resources” that exceed the program limits. With resources limits as low as $2,000 for an individual, however, it is easy to exceed those limits if you don’t plan ahead. Moreover, you cannot simply transfer assets when you realize you need to qualify for Long Term Care Medi-Cal because of the “look-back” period. The look-back period allows the Department of Health Care Services to review your finances for a 30 month period of time prior to your application. When the State of California is forced to comply with federal law, that look period will be extended to 60 months. Any assets transfer made during that time period for less than fair market value may effectively be disallowed and the value of the asset imputed back into your estate. If your assets exceed the limit when you apply, your application will be denied until such time as your asset no longer exceed the limit. In the meantime, you may be forced to rely on those assets to cover your expenses, causing your retirement nest egg to diminish rapidly. Long Term Care Medi-Cal planning can prevent this by planning ahead for the need to qualify and making sure your assets are protected well ahead of that time. If you have additional questions or concerns about Long Term Care Medi-Cal planning in California, contact the experienced Riverside Medi-Cal planning attorneys at Dennis M. Sandoval, A Professional Law Corporation by calling (951) 888-1460 to schedule an appointment. 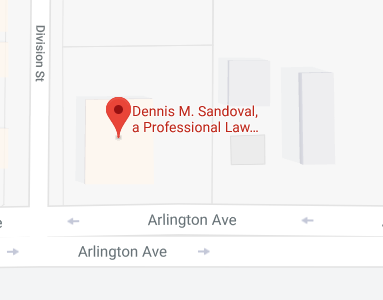 ennis Sandoval is the only attorney in California who has certifications in the three areas of estate planning, elder law and taxation. He received his Certified Estate Planning, Trust and Probate Law Specialist designation from the California Bar Board of Legal Specialization in 1998 and his Certified Taxation Law Specialist designation in 2000 from the same organization. He is a Certified Elder Law Attorney (CELA), a designation he proudly received in 2004 after meeting all the requirements established by the National Elder Law Foundation (NELF) and the American Bar Association. Dennis has also holds the designation as an Accredited Estate Planner® (AEP) from the National Association of Estate Planners and Councils.